I was gifted this coin from one of the kindest and most given persons I know, thank you Gail. I would like to pass it along to a co-worker and friend, Bailey RN. Bailey is the nurse you want at your bedside, she is one of the most caring, knowledgeable and dedicated nurses I have had the pleasure to work with. Thank you Bailey, now keep this Butterfly coin going on its wings of kindness. Thanks for the feedback Gail. Daffy Duck had been helping me search for a person like you and am so glad we found you. Have a fantastic day and don't forget to smile! This coin was gifted to me by one of Lauren's great points of light. I am an HR Manager for our Company, and as such, I have the privilege of hiring some of the best folks on the planet. Our Fabrication Facility and jobsites are full of fitters, welders, and other crafts who have the biggest hearts and spread the love of Christ and joy of life wherever they go. I love offering jobs to people who have sometimes been through a rough patch. Second chances are one of God's biggest blessings, and I am a grateful girl because of His mercy. I am now gifting my coin to one of the most compassionate and hard working person I know. Cindy E is a nurse who changes lives every day with her knowledge and care. Thank you, Cindy! 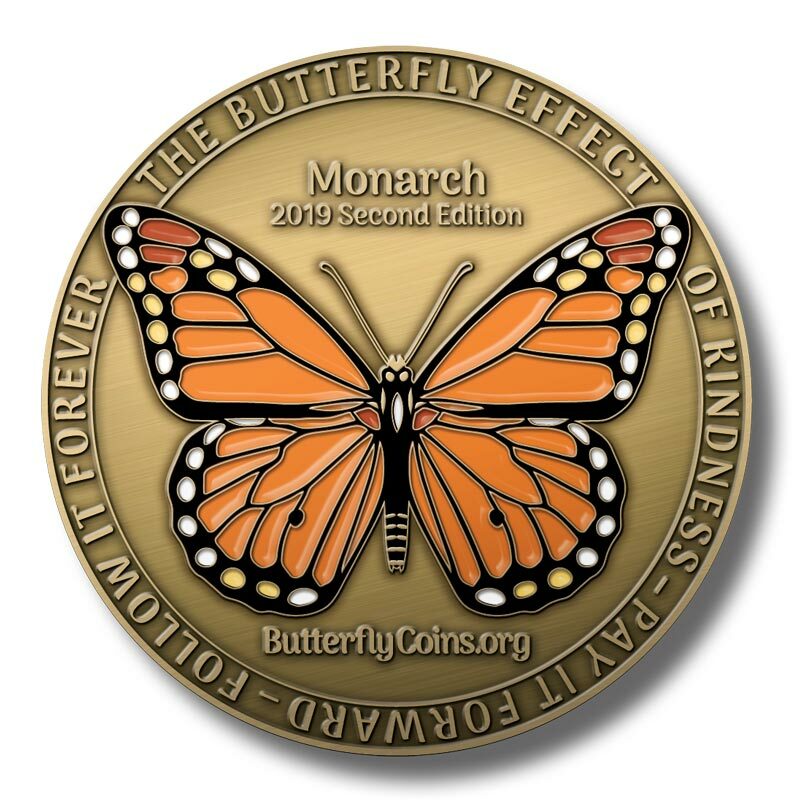 Now send this butterfly coin on its wings of kindness! This is the 8th coin that I will pass along. It was given to another special Lauren family member to pass forward in the hope it will bring smiles to each and everyone it comes in contact with. Thanks Gail for all you do to help make our company geeat!